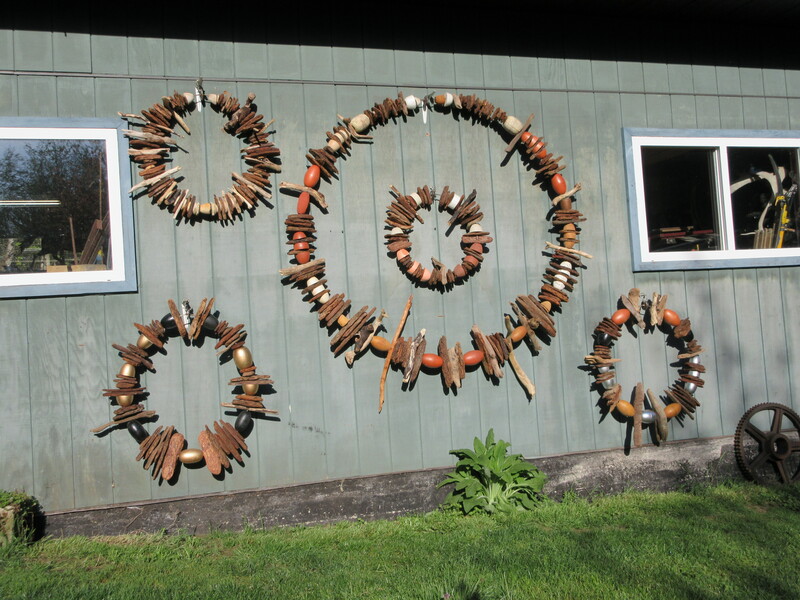 I recently completed my pieces for the land art exhibit. These will be installed on the outside of the historic hall which holds the summer art show. There are 5 necklaces ranging in size from 3′ across to 6′ across. They are made from fir bark and bits of wood found on the beaches near here and net floats from the slough. 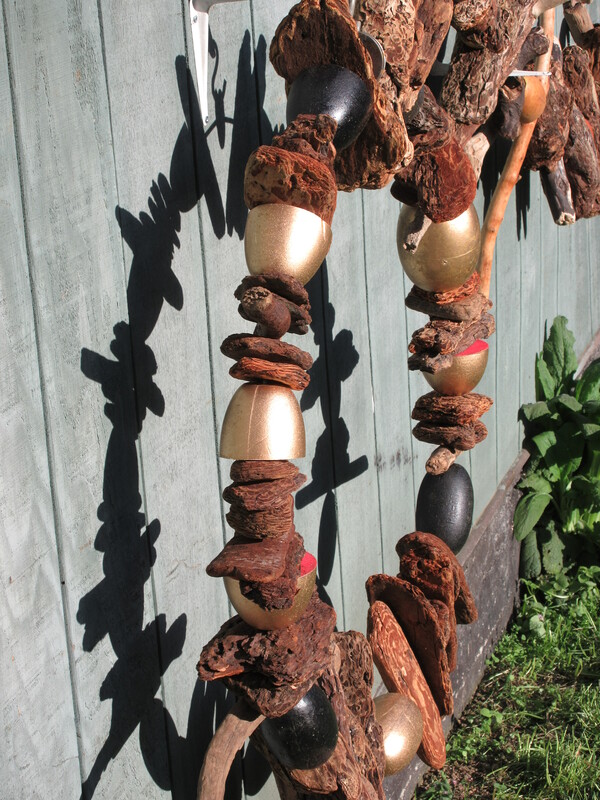 Each bark and wood piece were drilled through and strung onto metal rod. They will be hung proud of the wall so shadows are cast. These are gorgeous. How much are they? I’d love one on the back of the cabin where it might last away from the wind. But it wouldn’t cast shadows there. Maybe at the entrance?